The paltry Rs 30 lakh day one collection of Vikramaditya Motwane-directed Bhavesh Joshi Superhero was so abysmal that it dissuaded the makers to release box office collection of subsequent days. After four days, the combined might of Vikramaditya Motwane, Anurag Kashyap and Eros lay shattered at the box office. The verdict is out now – there are no takers for the antics of Bhavesh Joshi. The resounding NO that has been handed over to the film clearly states that we neither have the wherewithal nor resources to create desi superheroes who are at par with their western counterparts. It is ironic that director Motwane decided to release his film at a time when theatres were already inundated with other superheroes, Avengers: Infinity War and Deadpool 2. 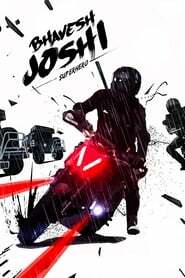 This time, more than the plot, it was the money power which crushed the super heroics of Bhavesh Joshi. It was also wrong communication which spoilt the party for Harshvardhan and Motwane. Wish the makers had rather called his protagonist a vigilante and not a superhero.